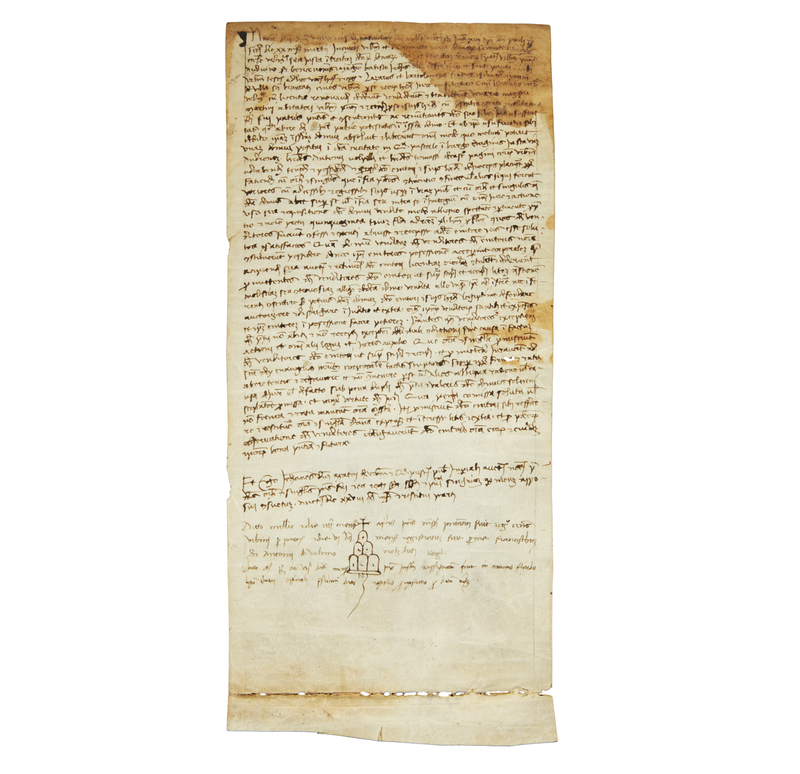 A handwritten legal document on vellum, dated 1465, between Antonio Urbino and another man, possibly from Florence. 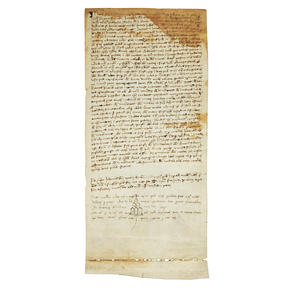 A folded legal document dated 1465, with several small drawings showing a church, seven arches, a crescent moon, and a cross. There are several famous men named Antonio Urbino, including a Florentine involved in the defense of the city against Lorenzo de Medici. Dimensions: 11.5" x 5.25" (as folded). Processing and shipping within the continental U.S. $25.00 plus 1.5% replacement cost insurance. 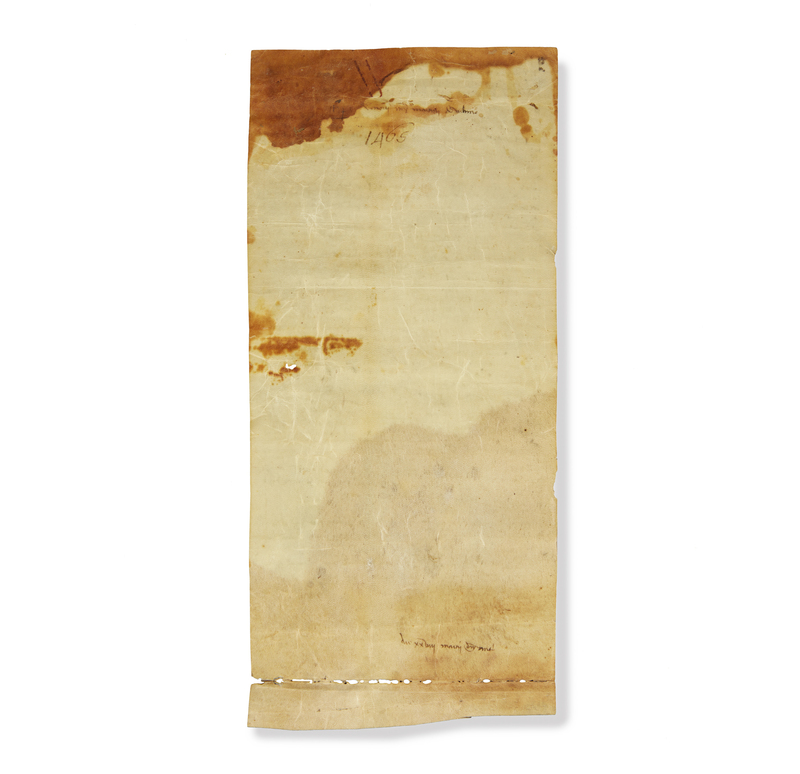 Good condition as folded, with minor stains, a few small holes and a small cut and a larger stain at the top. Witherell's strives to provide as much information and photographs as possible but encourages in-person inspection by bidders. Condition statements are only for general guidance and should not be relied upon as complete statements of fact and do not constitute a representation, warranty or assumption of liability by Witherell's. All lots are sold "AS IS" under terms and conditions. Please be advised we do not furnish packing materials nor porters for pick ups.